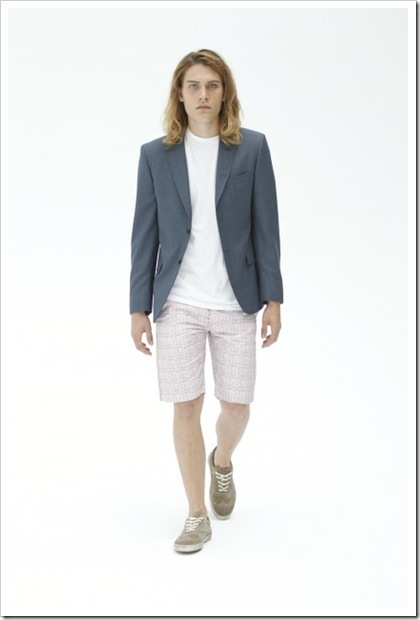 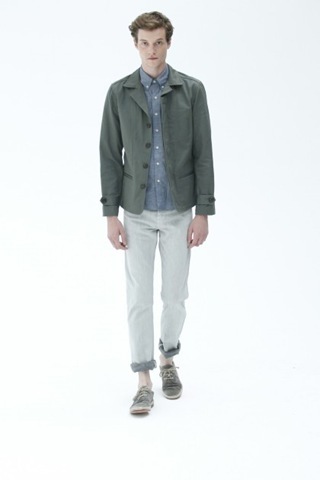 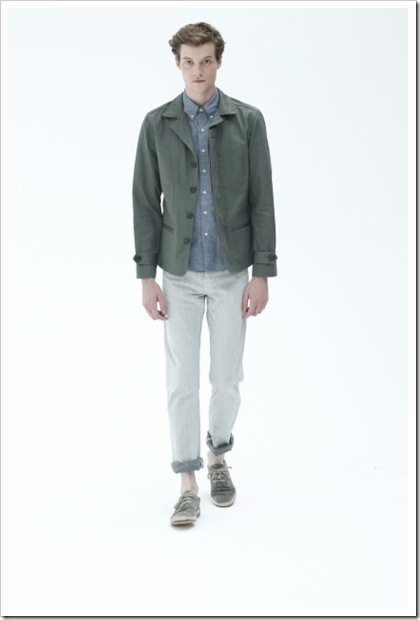 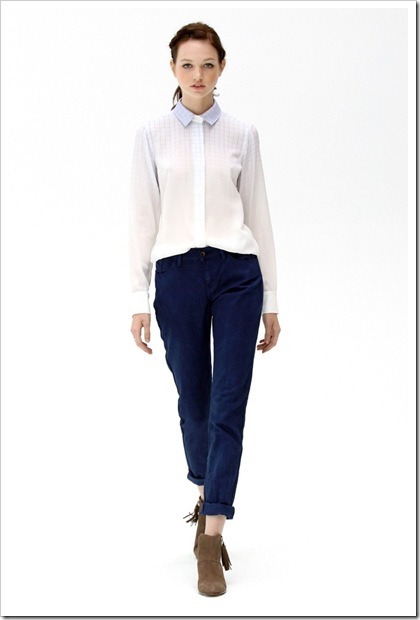 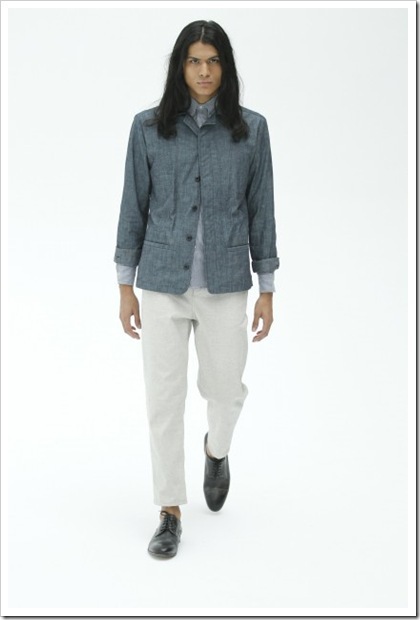 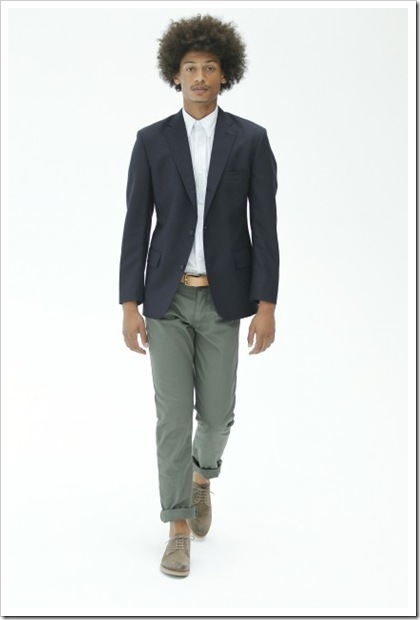 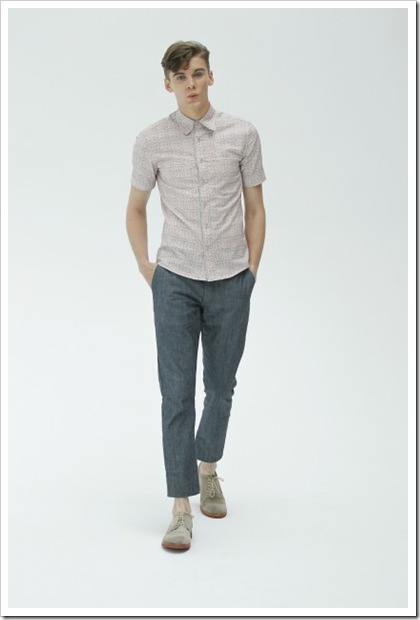 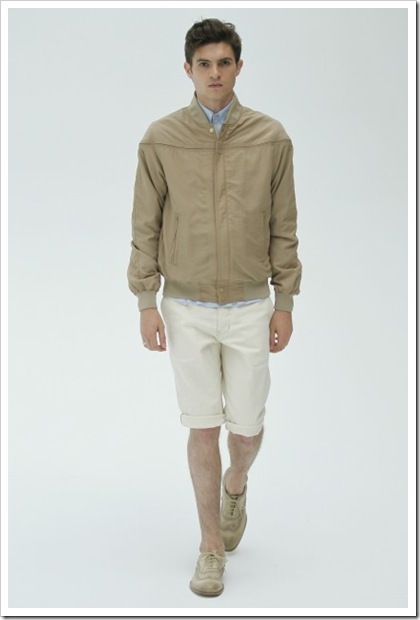 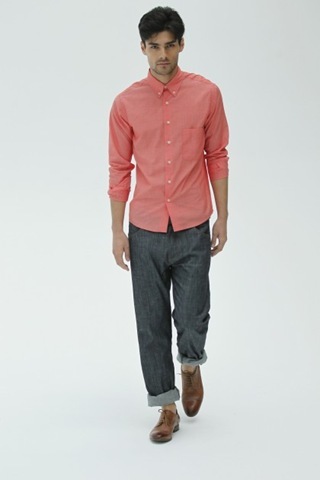 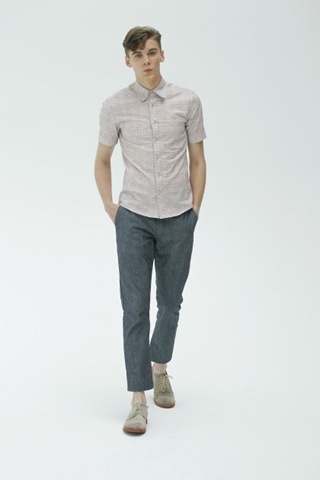 Designed in North Carolina, RALEIGH DENIM brings modern edge to American prep with its Spring/Summer 2013 collection. 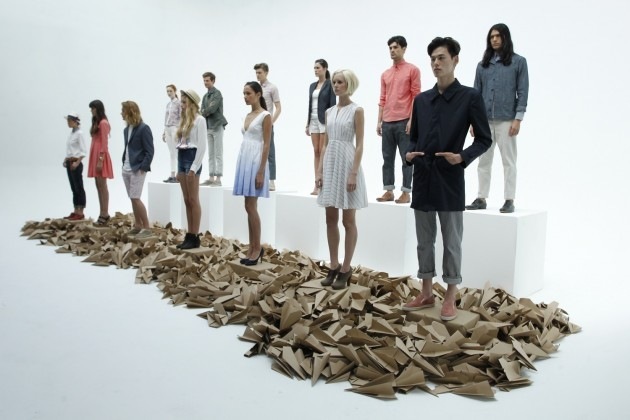 Using local materials and artisanal manufacturing methods, designers Victor and Sarah Lytvinenko are on a mission to build a premium Made in America brand. 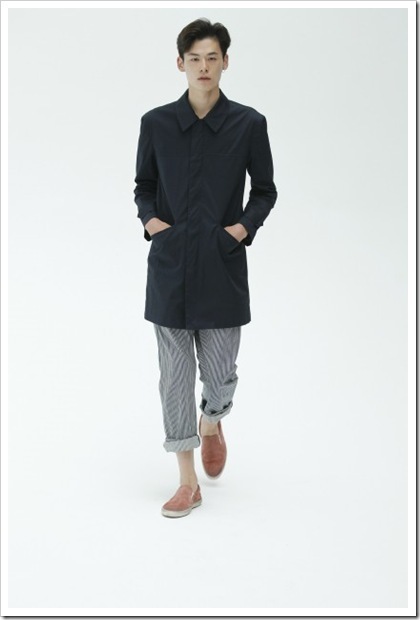 They continue to elevate the line with trim cuts, suiting separates and meticulously detailed denim. 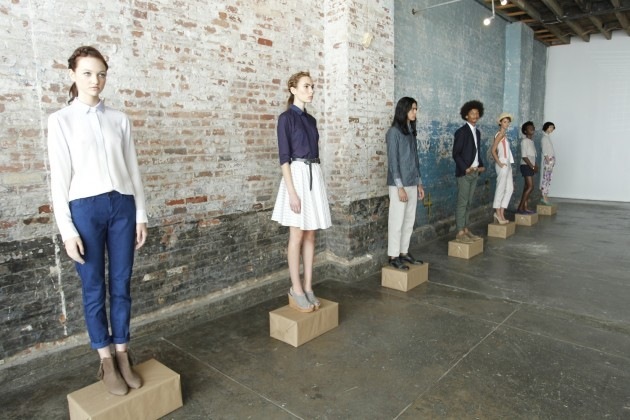 With Cone Denim Mills right in their backyard of Raleigh, North Carolina, the couple have access to denim from one of America’s premier mills, allowing them to create jeans themselves, by hand. 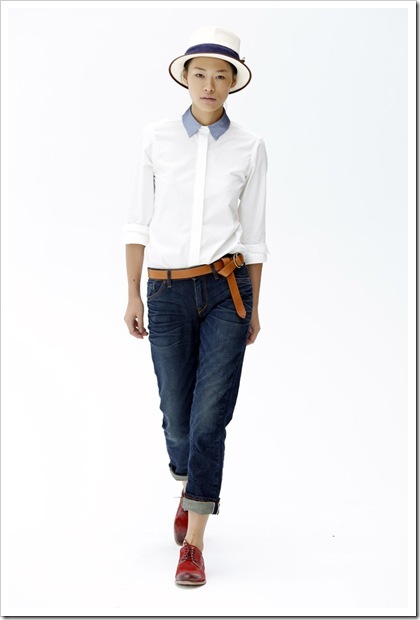 Made from White Oak Cone Denim, each pair is hand signed and individually numbered. 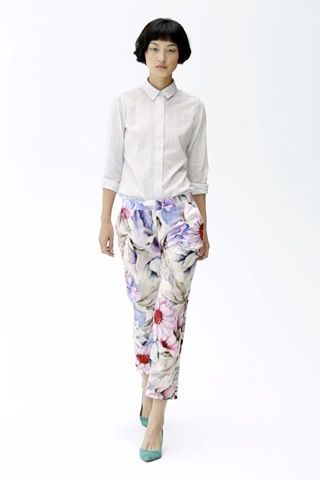 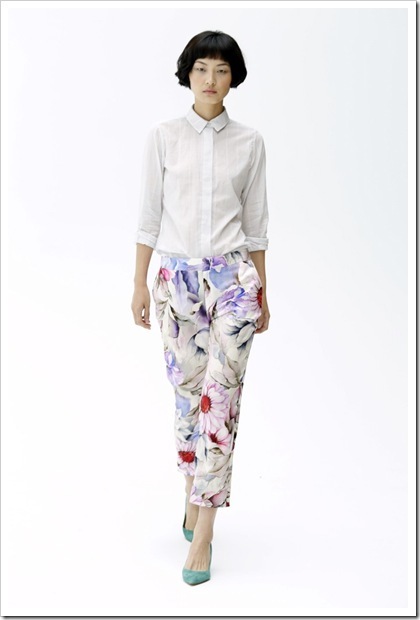 Providing interesting, current looks that work on the streets of Brooklyn, Paris or Raleigh, the Spring/Summer 2013 collection evolves with vivid floral prints and coral tones. 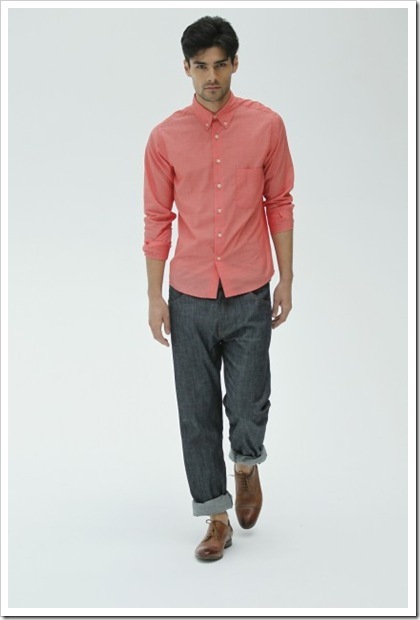 Men’s denim reflects colors, color wefts, white washes (bleaches) and other non-traditional looks . 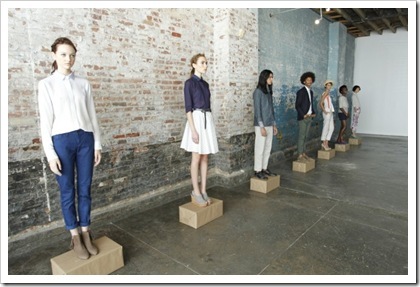 Here is a presentation on Raleigh Denim..